at haneda airport, tokyo, japan. man. 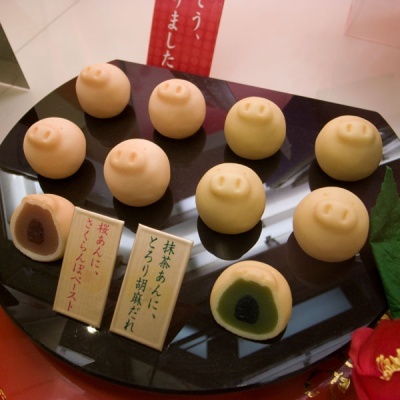 this makes me really long for the wagashi in japan. e.ku » i’m sure you can find some at japanese supermarkets in nyc (if there is any) ! actually there’s a minamoto kitchoan in new york. and there’s a japanese supermarket around the corner from me. but i haven’t seen these. if i had, i’d be the piggy and eat them all up!